Here's a sign for the Val Verde Hotel, which is an old historic hotel found in Socorro. 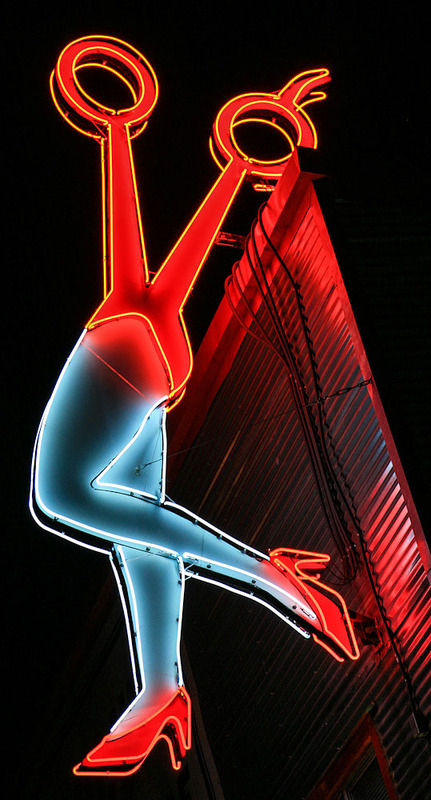 See the historic hotels of New Mexico at Roadside Peek's Historical Hotels New Mexico. Here's an old abandoned TG&Y in Gallup, NM which has been vacant for quite a few years. 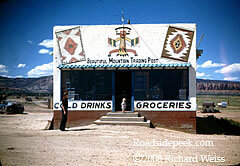 See other retail stores that hit the clearance rack in the sky at Roadside Peek's Bygone Retail New Mexico. The Richardson Trading Post in Gallup is an old roadside establishment that's been in business since 1913. See other historic sites at Roadside Peek's Historical Sites New Mexico.